April 2, 2018, 11:41 a.m.
My chain wont stay on my new Endorphin. Its good until it gets rough and rowdy, but once it does its coming off the ring. Chain tension seems fine. Its coming off in the same sections of the same trails everytime - always fast rough sections, or air. When I put the damn thing back on I'm standing in my same footprints from last time I went down the trail! 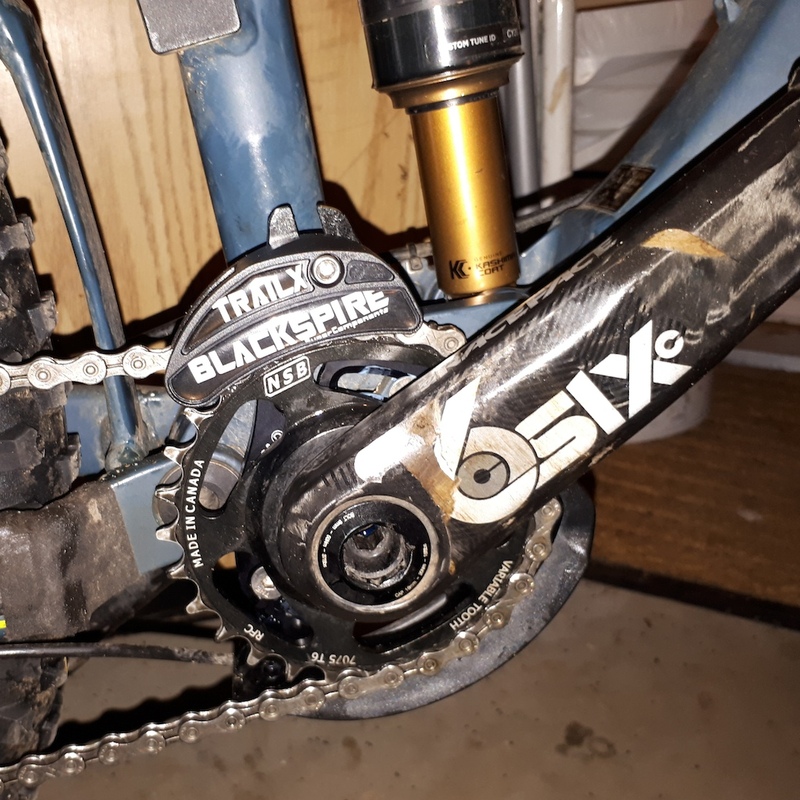 Raceface Next crank with GX - I'm going to put a chainguide on but Ive gone 2+years without dropping a chain on my E29 but they're dropping 3x per ride on the Endorphin. Its killing my mo! Last edited by: Ddean on April 2, 2018, 11:42 a.m., edited 1 time in total. April 2, 2018, 12:05 p.m.
dude bro brah, don't you see? with the new bike you're hammering so fast your chain just can't handle it. chill out, relax, take a load off and sink into the flow of the Bob Ross style of mtb'ing. April 2, 2018, 1:59 p.m.
April 2, 2018, 2:02 p.m.
April 2, 2018, 2:12 p.m. They're having a clearance sale BTW. 50% off. April 2, 2018, 3:21 p.m. Clutch working properly? Old or worn out NW ring? Not normal to be dropping chains unless your chainline is off or one of the previous two reasons. Good deal on the TrailX for sure! April 2, 2018, 7:40 p.m.
check you chain as well could be stretched or have a bad link . April 2, 2018, 8:24 p.m.
...sink into the flow of the Bob Ross style of mtb'ing. Man, my chain just fell off the other day. Second time since I bought the bike...in 2015. April 5, 2018, 7:37 a.m. I just ordered one as well. MADE IN CANADA $50 CAN SWEEEEEET!!!!!!!!!!!!!! There are many things that contribute to a chain falling off. Can you take a photo of the drivetrain from the side with the chain on the biggest cog. Post it up and we might be able to diagnose the problem a little better. April 5, 2018, 10:50 a.m. I've been using the BS Der and TrailX guides since their release without issue. April 10, 2018, 1:46 p.m.
Its all new stuff but last ride it stayed on through sections where it previously fell off. I probably adjusted something that unknowingly solved it but now that my BS is installed, I'm sure it'll be a thing of the past! Last edited by: Ddean on April 10, 2018, 1:46 p.m., edited 1 time in total. April 11, 2018, 7:02 a.m.
A trifecta of Canadian parts. 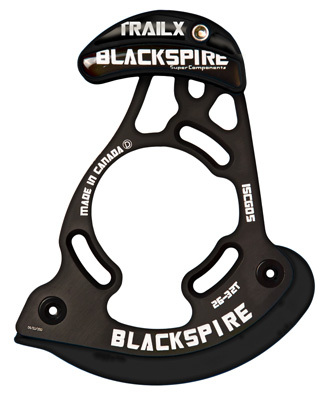 BTW- I ordered the Blackspire guide on April 5th and it was delivered in the mail by April 10th. A nice local alternative at a very fair price.